Viduthalai Chiruthaigal secretary seeks police protection! SIBY HERALD August 31, 2018 18:11 IST Viduthalai Chiruthaigal secretary seeks police protection! The general secretary of Viduthalai Chiruthaigal party, Ravikumar has given a petition to Pondicherry Chief minister seeking police protection citing threat to life. Viduthalai Chiruthaigal general secreatary Ravikumar has been active in the party as well as active as a writer. Intelligence reports had claimed that there was danger to his life. It was said that the people who had been arrested in connection with the gruesome murder of journalist Gauri Lankesh had planned to kill him as well. A report that he was the next target of them, was out two days back.. He was informed to be safe, and this had created a huge tense situation among Viduthalai Chiruthaigal party members. 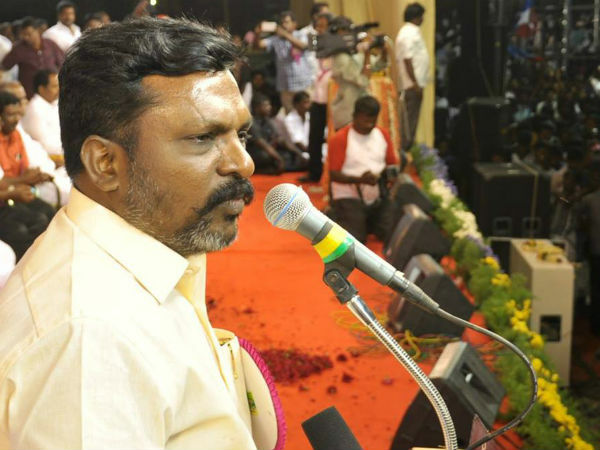 Following this, he had met the Pondicherry chief minister Narayanasamy and filed a petition seeking police protection, and the chief minister has promised to take necessary action to offer protection.